If you have a 15-inch MacBook Pro (non-Retina Display) with a screen that is smashed, shows distorted images, won't show any graphics, or any other problem, SimplyFixIt can help. If you experience battery issues, your 15-inch MacBook Pro (non-Retina Display) might not necessarily need a service. We have some tips on how to maximise the performance of the battery in your 15-inch MacBook Pro (non-Retina Display). 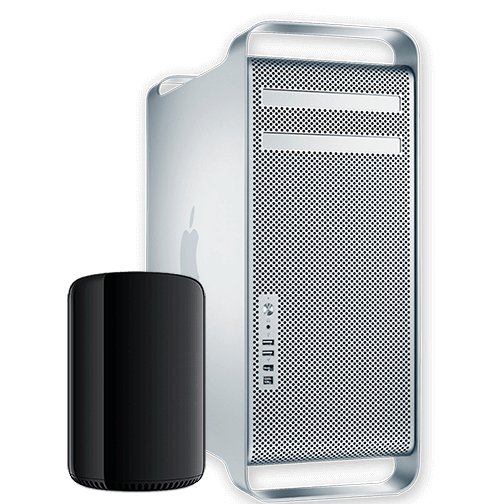 Apple computers are very well designed, and use the best components in the industry. The reliability is probably second to none. They have batteries that last longer than almost any other computer. Most PC users would love that kind of battery life. But if the 15-inch MacBook Pro (non-Retina Display) does fail, why would anyone want to cut corners and use non-Apple components? Third party batteries will never last as long as genuine Apple batteries. That's why SimplyFixIt use only Genuine components in all their 15-inch MacBook Pro (non-Retina Display) repairs. We use the same components as Apple. We give the same warranty as Apple. We're Simply Cheaper. 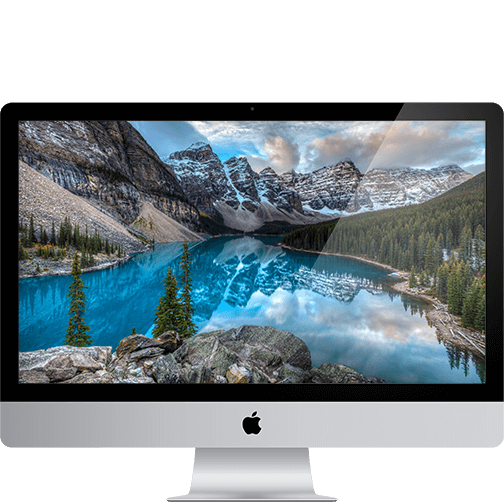 SimplyFixIt uses Apple Certified Mac Technicians to carry out repairs on Apple Macs, including the 15-inch MacBook Pro (non-Retina Display). There isn't anyone else in Edinburgh or Glasgow who uses technicians who have been certified by Apple. We back that up with a 3-month warranty on all 15-inch MacBook Pro (non-Retina Display) repairs. So, in the unlikely event that you have any issues with the repair, just come back and we will fix it for free. If the screen on your 15-inch MacBook Pro (non-Retina Display) has broken, don't despair. We can fix it quickly, and we guarantee to be cheaper than Apple. We have Apple Certified Technicians available at each of our locations, so you can either visit us today, book an appointment to visit later this week, or even post your 15-inch MacBook Pro (non-Retina Display) to us. We use the same parts as Apple too. It's the same quality — Simply Cheaper - and in most cases, we'll get your 15-inch MacBook Pro (non-Retina Display) back to you faster than Apple too. We know that the data on your Mac is very important. Replacing the screen on a 15-inch MacBook Pro (non-Retina Display) should not affect your data in any way. Naturally, we recommend that everyone has a backup though, and because of the built in back-up solution in macOS (Time Machine) it's so simple. If you don't currently have a back-up of your data then ask about the options. There's 10% off all external hard drives with every 15-inch MacBook Pro (non-Retina Display) screen repair, and we'll set up Time Machine for free for you. We offer cheaper prices than Apple because our main business is fixing computers. Apple sells computers. They would probably prefer that you buy a new 15-inch MacBook Pro (non-Retina Display) if the screen is broken, so they price their repairs accordingly. The price difference can be huge. On some current models of MacBook, SimplyFixIt was over £200 cheaper than Apple for the same screen repair. We were also able to return the 15-inch MacBook Pro (non-Retina Display) to the customer faster than Apple said that they could. For a 15-inch MacBook Pro (non-Retina Display) the price of a screen replacement is £149 including VAT. There is no need to book an appointment for a 15-inch MacBook Pro (non-Retina Display) screen repair. There are 7 SimplyFixIt Repair Centres around Edinburgh & Glasgow. You can find your closest at findmysfi.com Most of them are open 7 days a week, with some opening at 8am to make it easier for you to visit. We try to keep 15-inch MacBook Pro (non-Retina Display) screens in stock at most of our branches, but if one wasn't available at your nearest store, we'd still be able to get a replacement screen to that store, and your 15-inch MacBook Pro (non-Retina Display) back to you faster than Apple can. If you can't visit any of the 7 SimplyFixIt Repair Centres, you can still get your 15-inch MacBook Pro (non-Retina Display) screen repaired by us. 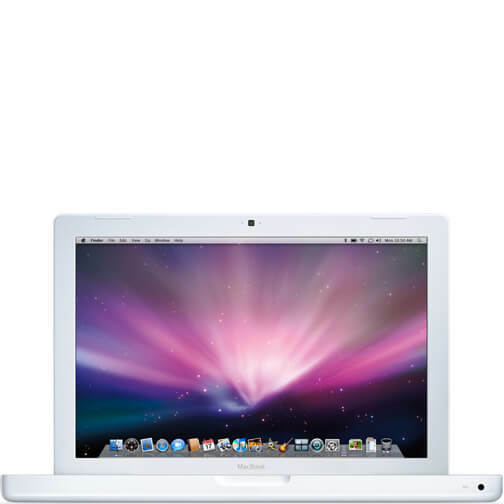 Visit our mail-in MacBook Repair page for more details. 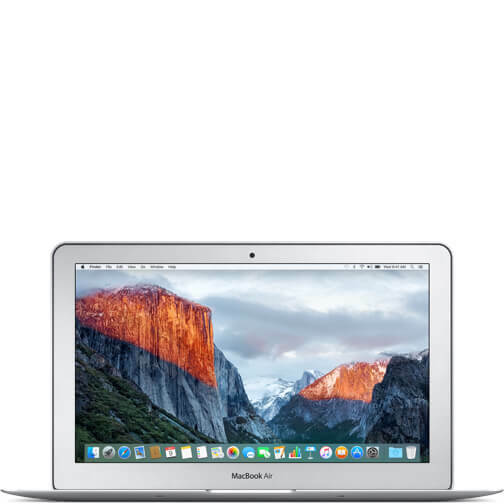 SimplyFixIt offers exactly the same warranty as Apple for 15-inch MacBook Pro (non-Retina Display) screen repairs; 90 days warranty for parts and labour. So in the unlikely event that something went wrong with your screen after the repair, you can revisit the store and we will get that fixed for you. All rechargeable batteries have a limited lifespan and may eventually need to be serviced or recycled. The lifespan of the battery in your 15-inch MacBook Pro (A1286) will vary depending on how you use your computer, as well as the settings you choose for it. Batteries are expected to function for a certain number of cycles. In an new Apple MacBook, it's around 1,000 cycles. When you use your 15-inch MacBook Pro (A1286), the battery goes through these charge cycles. One complete charge cycle happens when you charge a battery from 0% to 100%, but that doesn't necessarily mean a single charge. The battery is working fine at the moment. You won't get as long on battery as you did when you first bought the 15-inch MacBook Pro (A1286), but there aren't any faults. It is close to the time when the battery has reached its normal lifespan though, and should be replaced before you start to see the MacBook shut down without warning. The battery has reached the end of its normal life-span. At this stage it might be possible to keep using it, but you will not have anything close to the full amount of time from a battery charge. It is also possible that your 15-inch MacBook Pro (A1286) will start to fail and the MacBook will shut down without warning. If your battery Cycle Count is over 1,000 cycles, book an appointment today and we'll swap your battery for a band new one. We use the same batteries as Apple do, and we'll have your 15-inch MacBook Pro (A1286) ready to collect the very same day. We're keen to ensure minimal downtime so that the service does not disrupt a busy lifestyle. We know that the data on your computer is very important. Replacing the battery on a 15-inch MacBook Pro (A1286) should not affect your data in any way. Naturally, we recommend that everyone has a backup though, and because of the built in back-up solution in macOS (Time Machine) it's so simple. If you don't currently have a back-up of your data then ask about the options. 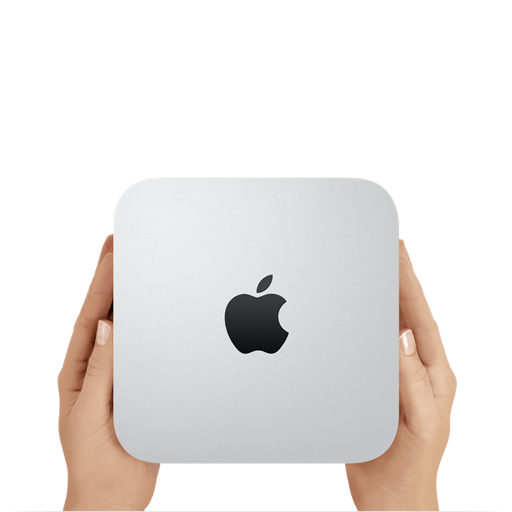 There's 10% off all external hard drives with every MacBook battery service, and we'll set up Time Machine for free for you. We offer cheaper prices than Apple because our main business is fixing computers. Apple sells computers. They would probably prefer that you buy a new MacBook if the battery needs a service, so they price their repairs accordingly. The price difference can be huge. 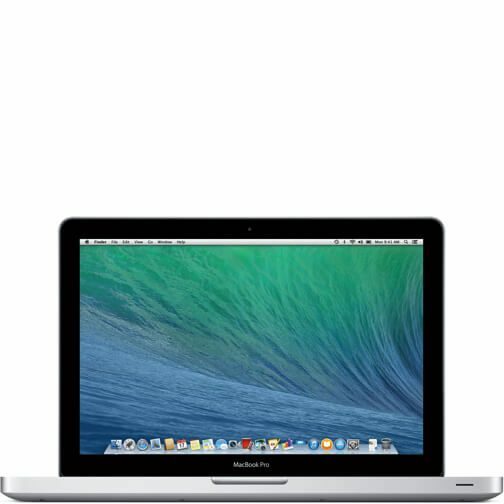 On some models of MacBook Pro, SimplyFixIt is around £80 cheaper than Apple for a battery service. We were also able to return the MacBook to the customer faster than Apple said that they would be able to carry out the service. 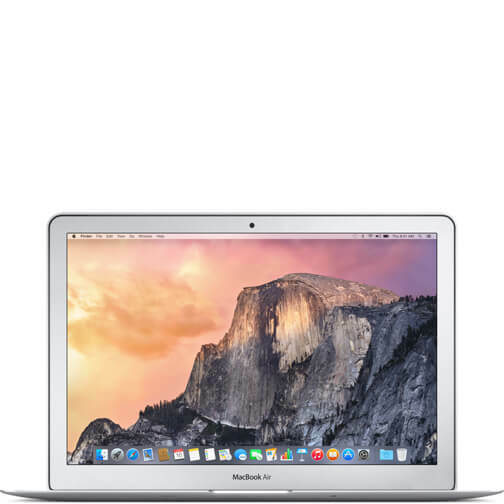 For a 15-inch MacBook Pro (A1286), the price of a battery replacement is £99 including VAT. 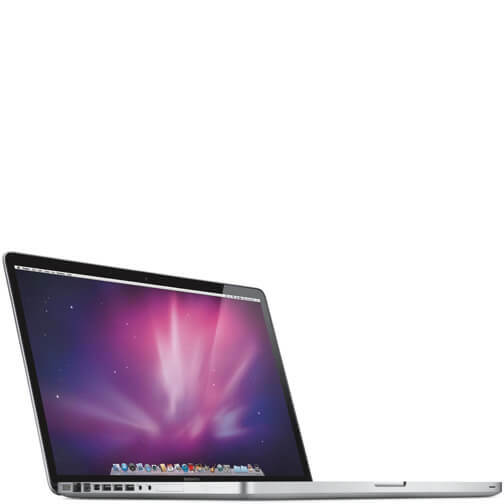 There is no need to book an appointment for a 15-inch MacBook Pro (A1286) battery service. There are 7 SimplyFixIt Repair Centres around Edinburgh & Glasgow. You can find your nearest one at findmysfi.com Most of them are open 7 days a week, with some opening at 8am or closing at 7pm to try and make it easier for you to visit. We try to keep most MacBook batteries in stock at our branches, but if one isn't available at your nearest store, we'll still be able to get a replacement battery to that store, and your MacBook back to you faster than Apple can. Let's say the obvious statement straight away; Liquid and electronic devices, such as a 15-inch MacBook Pro (A1286), don't mix. That liquid could be rain, while your laptop was in your backpack, a cup of sugary tea, which was spilled over the keyboard, or the worst culprits, fizzy drinks or wine. 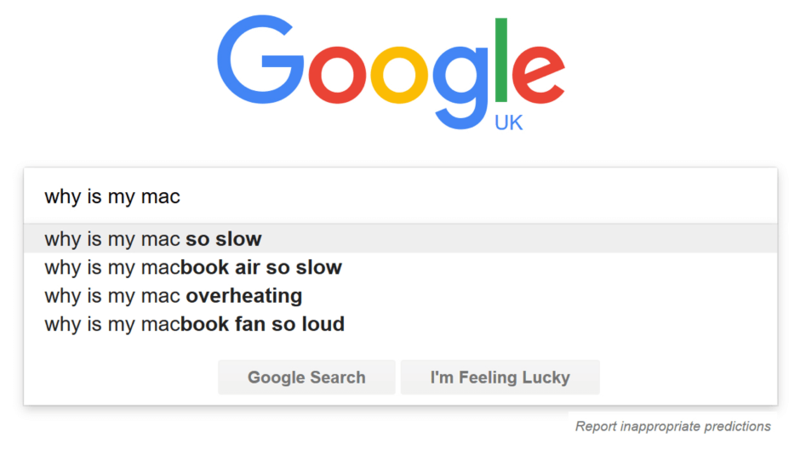 Either way, you should have your laptop checked and ultimately fixed. In a lot of cases it won't be the liquid that causes the most damage. If you can turn the laptop off quickly, you might be able to prevent damage from the electricity. But the minerals, or sugar, in the liquid remains on the circuit boards (the main circuit board in a 15-inch MacBook Pro (A1286) is called a "Logic Board") These minerals will make your 15-inch MacBook Pro (A1286) get "more faulty" over time and will eventually cause the laptop to stop working. 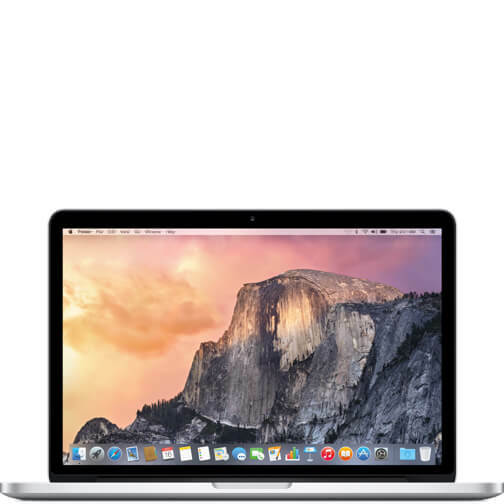 There are several reasons to choose SimplyFixIt to repair a liquid damaged 15-inch MacBook Pro (A1286), but probably the most important one is that we're going to save you money. 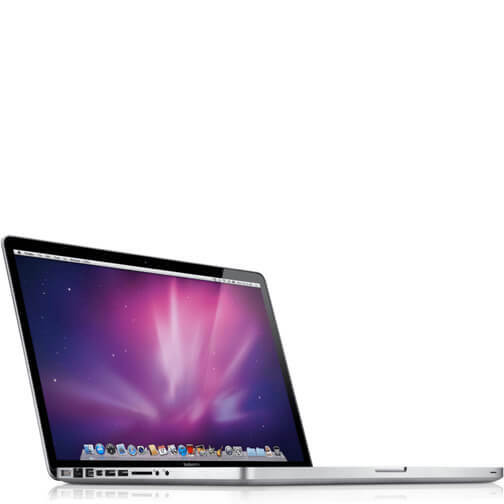 We use genuine Apple parts; our technicians are certified by Apple. We offer the same warranty as Apple too. It's the same quality of service — Simply Cheaper. Time is very important when it comes to fixing a liquid damaged 15-inch MacBook Pro (A1286), so imagine trying to book an appointment at a Genius Bar at the Apple Store and being told that the firsst available appointment was 6-8 days away? That is why we will always have a walk-in service available, with most of our Repair Centres open 7 days a week, with some open from 8am or closing at 7pm to make it easier to get your computer repaired. If your 15-inch MacBook Pro (A1286) is wet, do not try to turn it on. Not even to check if it still works. This is a good rule for anything electronic. If it's wet, unplug it from the power immediately. The problem with modern laptop devices, including the 15-inch MacBook Pro (A1286) is that it's not always possible to remove the battery. So there is always some electrical power going to the logic board. That is why it is very important to take your wet Mac to a repair centre as quickly as possible. One of the first things we will do is unplug the battery, preventing any more electricity from flowing through the circuitry. Don't use your 15-inch MacBook Pro (A1286). If your 15-inch MacBook Pro (A1286) is turned off, do not try to turn it on. Don't use the hair dryer to dry your 15-inch MacBook Pro (A1286). The heat can cause the damage to the components, and the air can push liquid onto other parts which were unaffected before. Do not try to charge your 15-inch MacBook Pro (A1286). Here's the crunch. If you leave your Mac to dry naturally for a few days, at least 3, but probably 5, it may well work again when you try to power it on. But if the liquid that got into the Mac had sugar (could be tea, coffee, wine, Irn Bru or even diet Coke) then most likely this sugar is currently eating away at the electronics. This corrosion will cause issues in the future, and the only way to prevent this is to remove those deposits from inside the 15-inch MacBook Pro (A1286). The other potential problem is that time is of the essence when it comes to fixing liquid damaged devices. If the 15-inch MacBook Pro (A1286) doesn't respond after the 5 days, this is time that could have been very important to a repair. SimplyFixIt guarantees to be cheaper than the Apple store and you don't need to book an appointment in advance, so there really isn't any reason not to go directly to your nearest SimplyFixIt repair centre and get your Mac looked at by Apple Certified Technicians. We know that the data on your Mac is very important. We will always do what we can to ensure that your data is safe when we repair a liquid damaged 15-inch MacBook Pro (A1286). I know we've said it a few times, but removing the flash drive from the electricical current is the most important thing that we can do. We will only reconnect your data to the computer when we are sure that there is no risk. Naturally, we recommend that everyone has a backup though, and because of the built in back-up solution in macOS (Time Machine) it's so simple. If you don't currently have a back-up of your data then ask about the options. There's 10% off all external hard drives with every 15-inch MacBook Pro (A1286) repair, and we'll set up Time Machine for free for you. 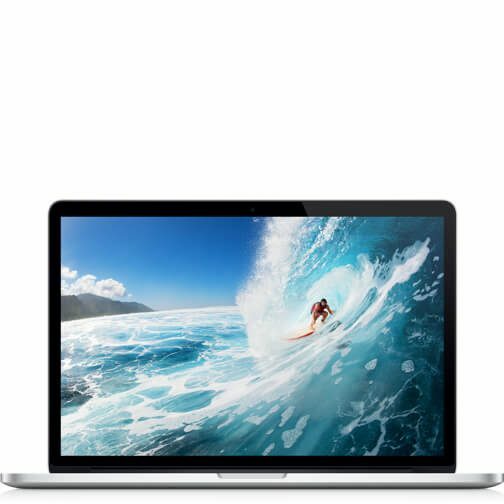 SimplyFixIt offers exactly the same warranty as Apple for 15-inch MacBook Pro (A1286) screen repairs; 90 days warranty for parts and labour. So in the unlikely event that something went wrong with your 15-inch MacBook Pro (A1286) after the repair, you can revisit the store and we will get that fixed for you. Why is my 15-inch MacBook Pro (A1286) so slow? 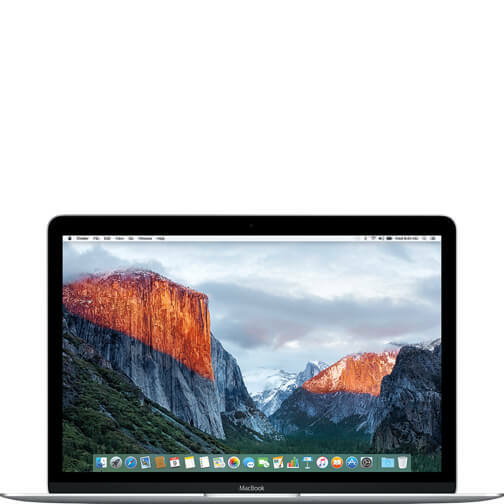 What can I do to boost the performance of my 15-inch MacBook Pro (A1286)? There are two types of "memory" in a computer, RAM (Random Access memory) and drive storage. Without getting too technical, RAM gives your computer a high-speed temporary work space. It's where apps and data live while you are actively using them. If you have more RAM it means that your 15-inch MacBook Pro (A1286) will normally feel faster as you are using apps, especially if you are opening multiple apps, or web browser tabs, at the same time. If your 15-inch MacBook Pro (A1286) is from 2012 or before, chances are that it has replaceable RAM chips. After that, Apple MacBooks have become so thin that they have opted to solder the memory chips directly onto the Logic Board in order to save space. Unfortunately, this makes increasing the RAM almost impossible. But for MacBooks from before 2012 (so a non-retina MacBook Pro), and most iMacs ( including most of the 21.5-inch models which Apple claims are non-upgradeable), there are several upgrade options available. In general terms, if you have a hard drive in your computer, and you upgrade to a Flash Drive, then you will see a huge performance difference. Your 15-inch MacBook Pro (A1286) will start up much faster, apps will load quicker, battery life should improve and just generally, your computer will feel a lot more responsive. The Apple Certified Technicians at SimplyFixIt can give you advice on what is the best size Flash Drive for your 15-inch MacBook Pro (A1286). It may be that your current hard drive is nearly at full capacity, and simply swapping over to a Flash Drive at the same size won't help. It could be that you don't use all the space on your hard drive, and never will, and therefore buying a Flash Drive of the same size would be a waste of money. That's the thing about Flash Drives; they cost more than hard drives. They are cheaper than ever before, and definitely represent the best value performance boost for a 15-inch MacBook Pro (A1286), but if you needed a 512GB or a 1TB Flash Drive, it is definitely still an expensive upgrade. If you do have a lot of data, 1TB or more, and don't want to invest in a flash drive of that capacity, there are still options for you. If your computer has a DVD drive, we can normally fit a Fusion Drive to your computer. This is a combination of hard drive and flash drive, which macOS is able to use as one single drive. It typically gives a boost of 3.5x performance when working on large files. Even just starting your 15-inch MacBook Pro (A1286) should be a lot faster, maybe even twice as fast. SimplyFixIt can advise you on your options for upgrading the Logic Board for your 15-inch MacBook Pro (A1286). If your MacBook is from 2013 or later, this could also be the only way to increase the RAM memory for your computer too.